Hello friends! 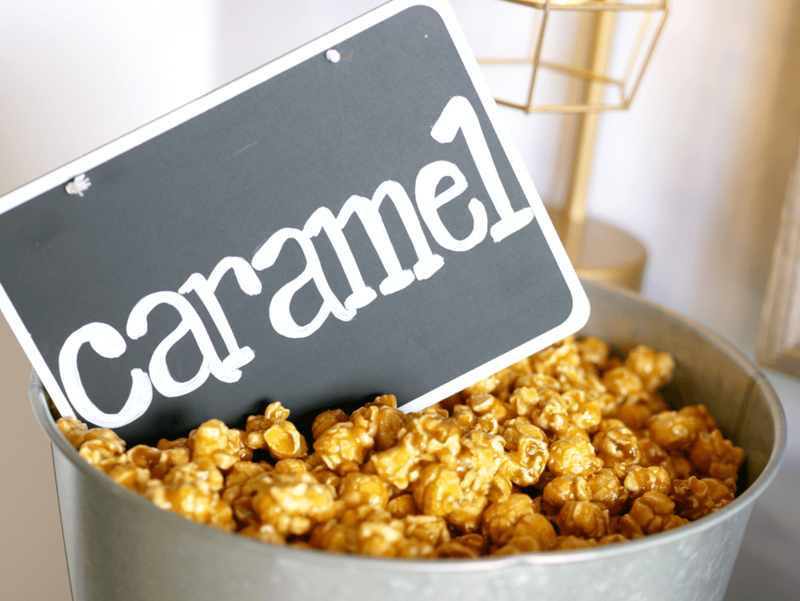 Today I am super excited to be sharing with you this rustic style popcorn bar that I styled for my daughter's seventeenth birthday party. Can't believe she will be a senior next year! To celebrate her birthday, she invited some friends over to hang out and watch a movie after they had dinner at a nearby restaurant. She decided to have dessert at the restaurant instead of having it at home, so I decided to style a popcorn bar so they could get some while watching the movie. Lets start with the backdrop shall we? 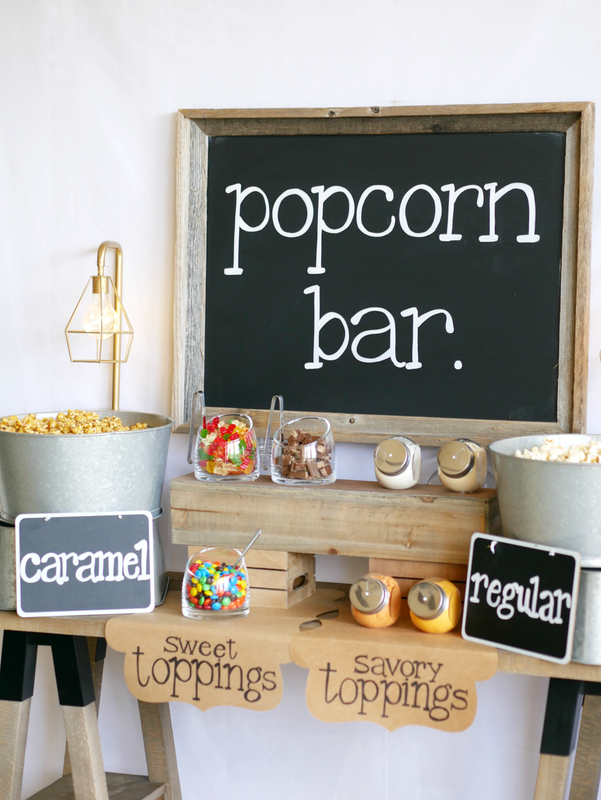 My daughter loves the rustic-industrial look so I decided to use a big chalkboard that I have and write a simple title... "Popcorn Bar", but it had to have that special look right! So I asked my friend Jourdan from Texas Soul Lettering to write it for me with a "typewriter" font and I just loved how it turned out! We choose to have 2 popcorn options, caramel and regular flavors. I went to my favorite popcorn shop in Austin, Lollepop Gourmet Popcorn and I got some bags for the party and of course a bag for the rest of the family, because if you are a mom-- you know how this goes when you have girls sleeping over! 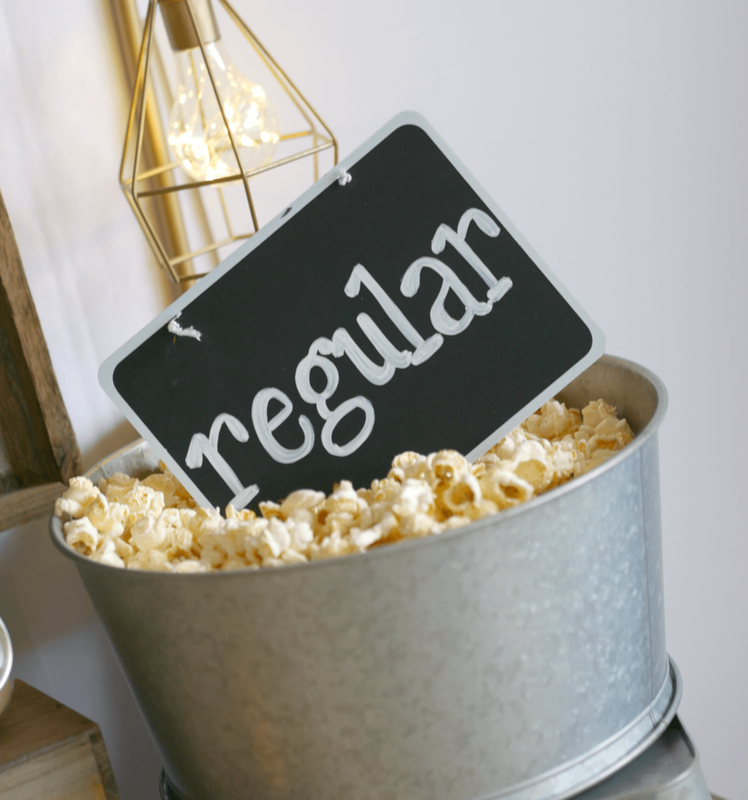 I used some galvanized buckets to complete the look she wanted and I also used some small chalkboards to write the type of popcorn that each bucket had, I asked Jourdan to help me out writing the signs. I also grabbed the toppings while I was shopping for the popcorn. So convenient to buy all you need for your popcorn bar in one place! For the sweet toppings, we went with Kit Kats, Gummies and M&M's. For the savory toppings we had Butter, Classic Cheddar, Jalapeño Ranch and Parmesan Garlic.. all so yummy by the way! I used some wooden boxes in several sizes to set up all the toppings, I also used some craft paper liners and we wrote "Sweet Toppings" and "Savory Toppings" on them! For decoration, I added some gold light bulbs (battery operated) to each side of the chalkboard. 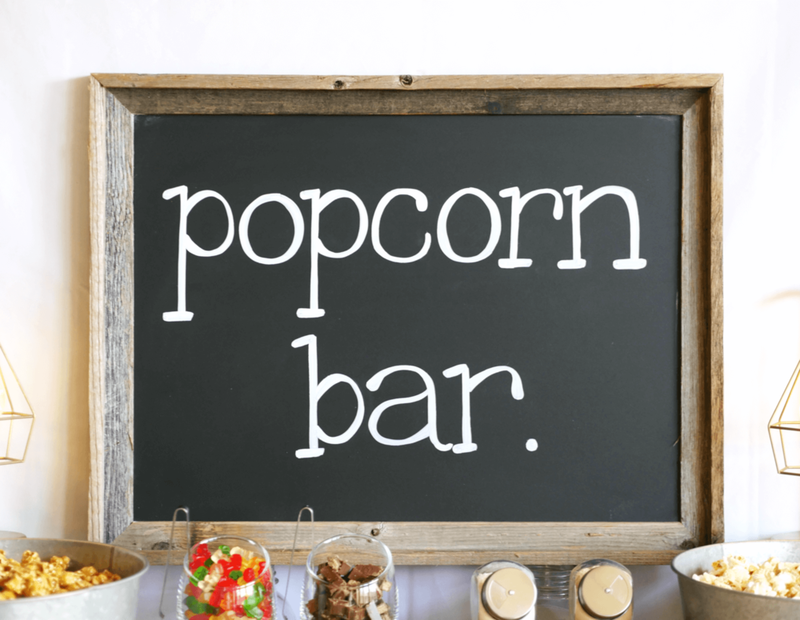 Hope you all liked this rustic-industrial popcorn bar.. it is truly so easy to recreate for any type of home gathering you host. Please don't forget to sign up to our newsletter and the freebie library, you won't want to miss it!